The List: Closest 250SX Championships April 11, 2019 With the top two riders in each region within five points, we take a look at the closest 250SX championship finishes over the last 20 seasons. Red Bull Moto Spy | Can Marvin Stop the Webb Wagon? April 4, 2019 Cooper Webb and Marvin Musquin have begun their own duel for the 450 championship. Redux: News and Notes From Houston April 2, 2019 Houston by the numbers, Roczen on his toe injury, gifs from the weekend, and more. The Conversation: Seattle 450 and 250 Podium March 24, 2019 Watch the post-race press conference from round 12 of Monster Energy AMA Supercross. The Weege Show | Seattle SX March 24, 2019 Jason Weigandt breaks down round 12 of Monster Energy AMA Supercross. Exhaust: Paralysis, and the Road Back March 19, 2019 In January, Blake Savage, Ken Roczen's trainer, was paralyzed in a crash. Now he talks about his big challenge. 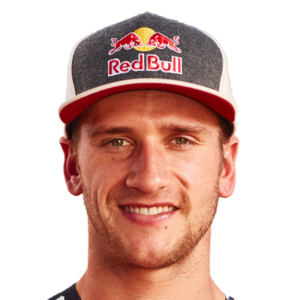 Red Bull Moto Spy | The Closest Finish Ever March 14, 2019 Ken Roczen narrowly leads his closest championship rivals Cooper Webb and Marvin Musquin into a climactic round seven of 2019 AMA Supercross in Arlington. Racer X Films: Daytona Press Day March 9, 2019 First look at round 10 of Monster Energy AMA Supercross. 10 Things To Watch: Daytona March 8, 2019 Ryan Sipes returns to supercross, Shane McElrath moves to the 450 class, and more.